Wet ’n’ Wild isn’t readily available in Singapore, so I’d like to think I can be forgiven for only just discovering it. 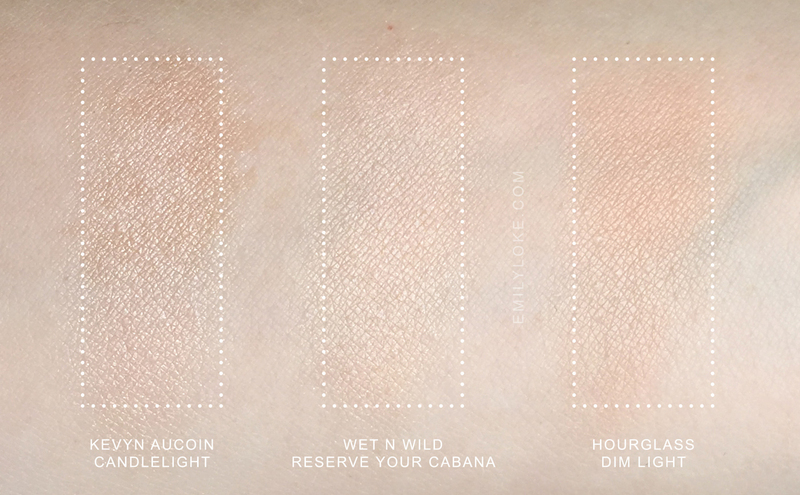 Believe me when I say I’m making up for lost time though, starting with (of course) their extremely popular Reserve Your Cabana highlighter. 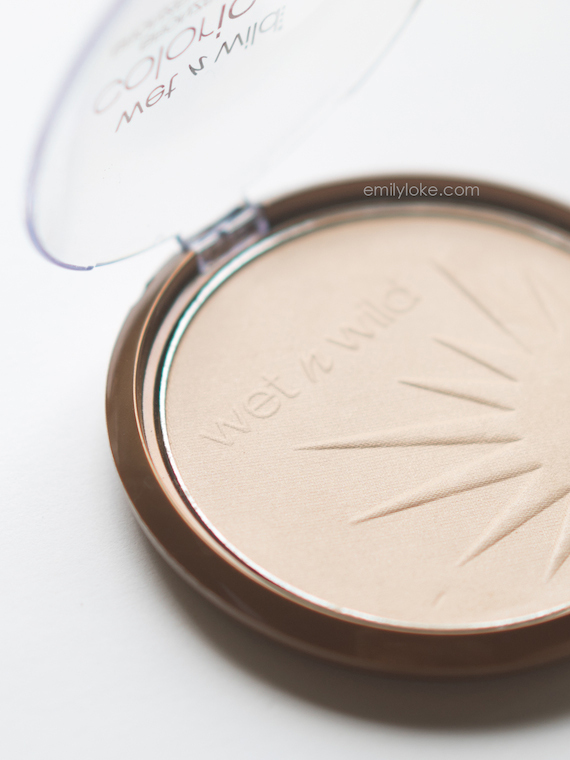 Technically labelled a bronzer (who knows why), it shows up as pale pink-champagne on my skin. I liked that there weren’t visible sparkles and was surprised that it had quite a refined sheen for a drugstore product. 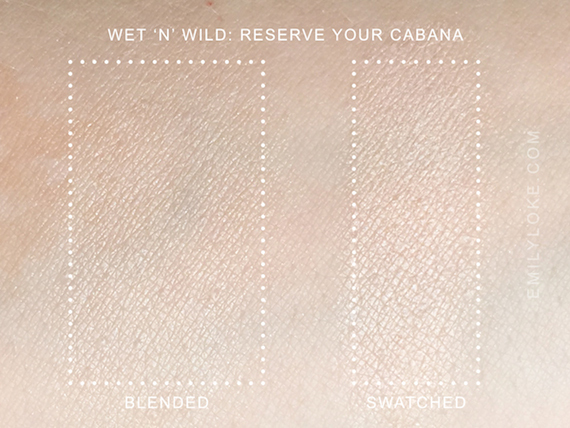 As you can see (click to enlarge), Reserve Your Cabana ended up being less sparkly than Candlelight and more metallic/reflective than Dim Light. But even though the high-end products had better textures, I have to be honest and say that the increase in quality didn’t quite tally with the price difference. 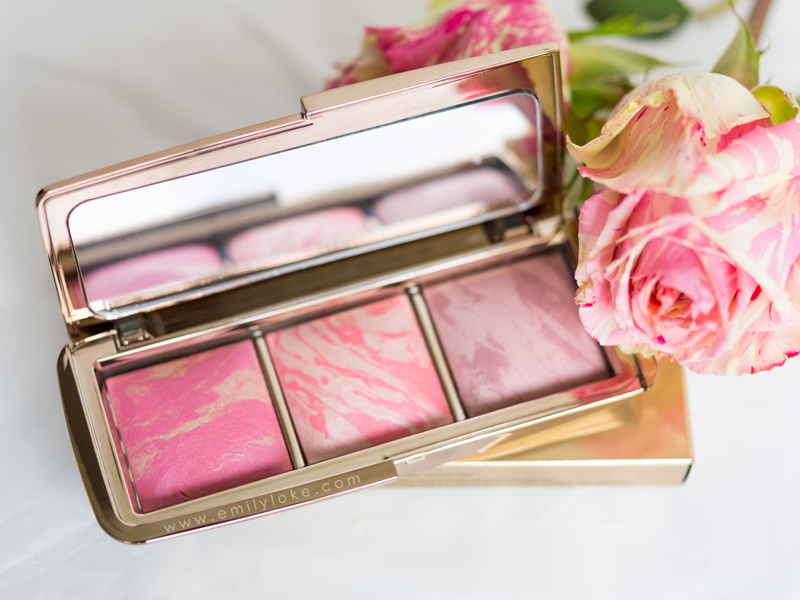 So if you can’t justify spending $45 on either Kevyn Aucoin or Hourglass products, buy this. 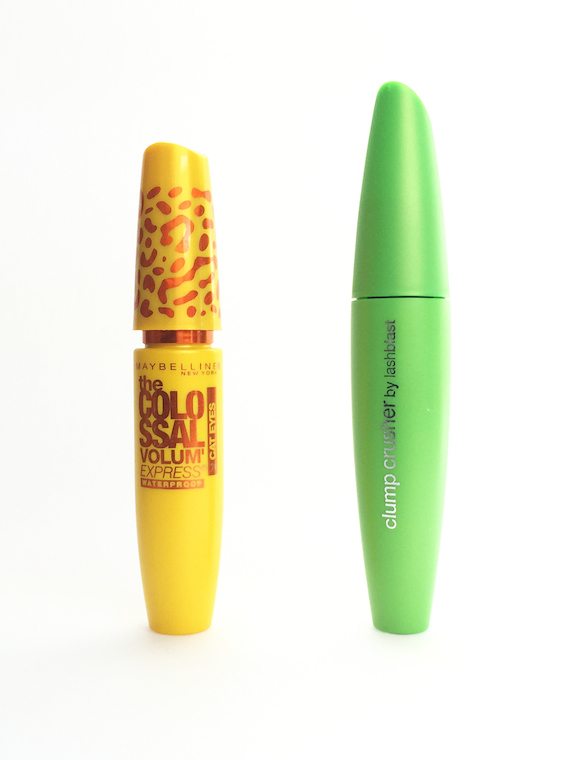 It’s not exactly a dupe for either, but stands on its own as a great product…even before you consider the $4 price tag. 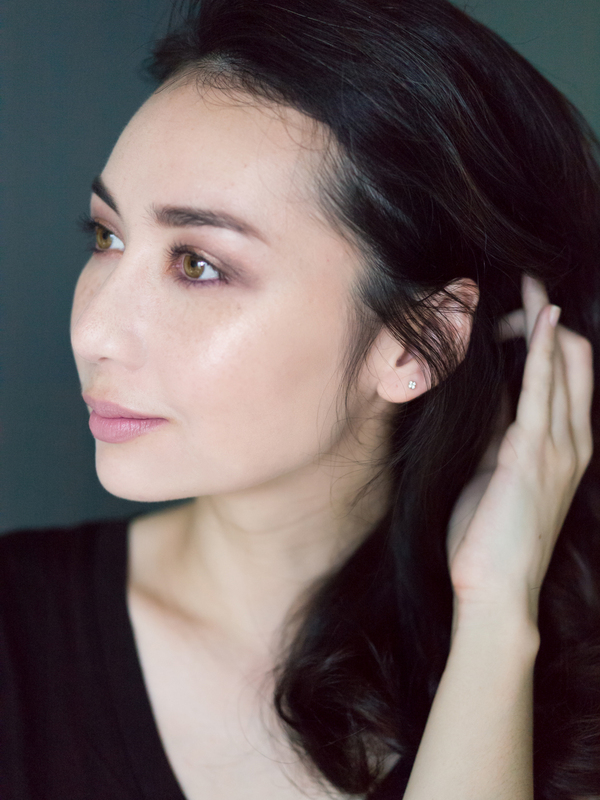 Like Shiseido High Beam White, this sort of falls between a traditional highlighter and a finishing powder in terms of sheen. 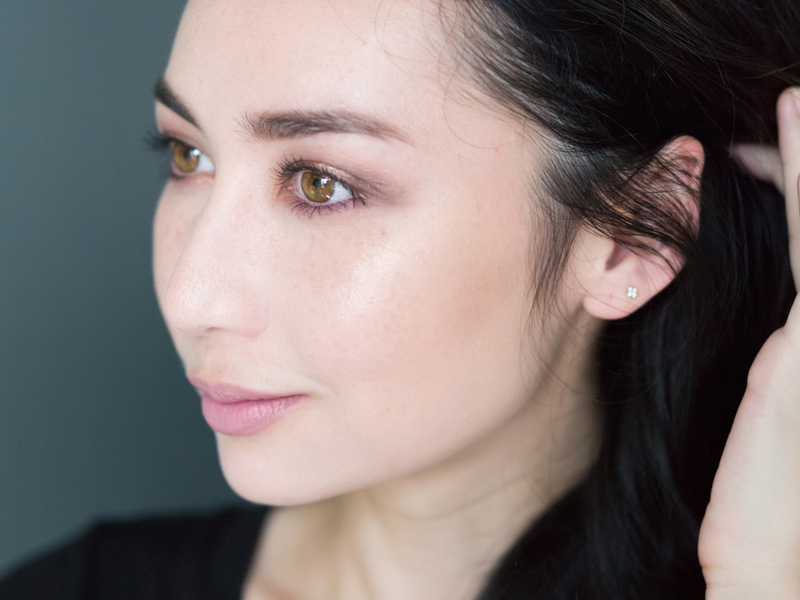 On my face, the result was a slightly-golden luminosity that was subtle but flattering. 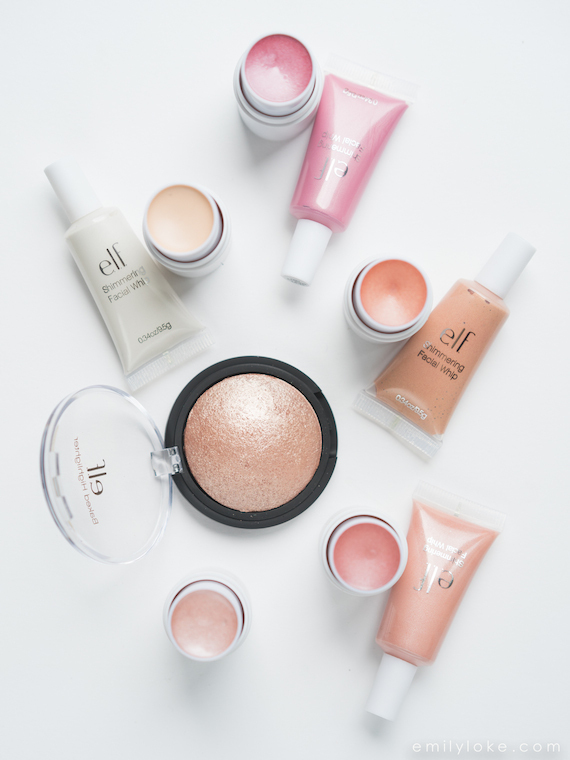 With a light hand, I could see this being a good all-over finishing powder if you have the right skin type for it. 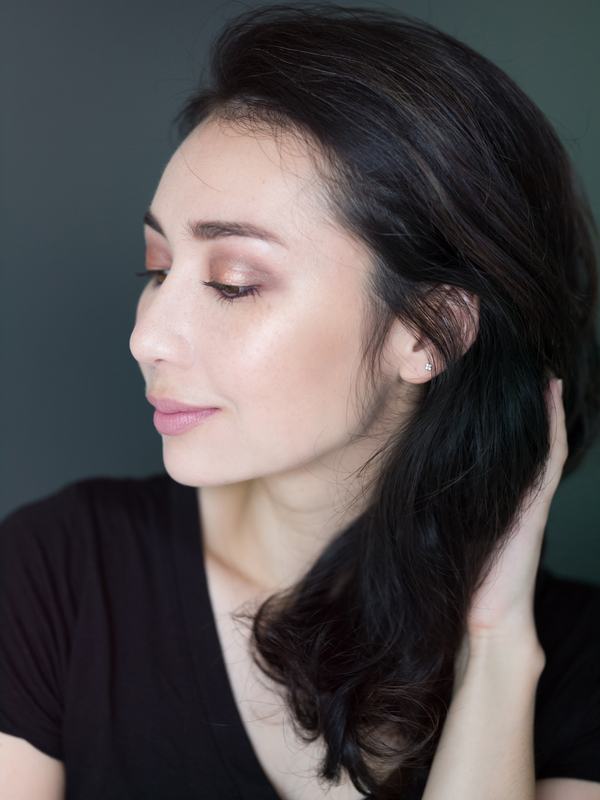 In summary: If you like subtle highlighters or are in the market for a luminous finishing powder, I recommend this wholeheartedly…whether or not you’re on a budget. It’s not far behind its high-end cousins in terms of quality and finish, and in my opinion worth way more than it actually costs.